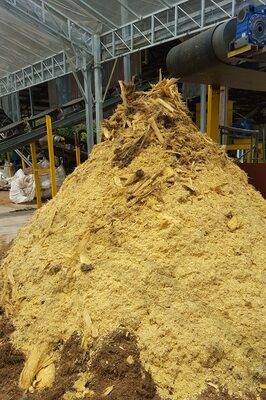 OPT Pellets | TrunkbusterTM,world's most efficient Oil Palm Trunk Pulverizer. 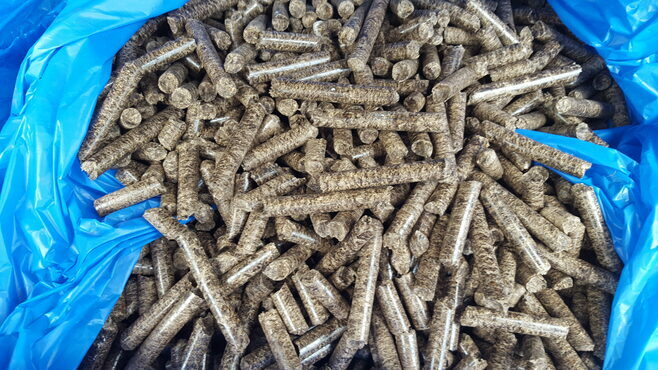 ​The oil palm trunk fibre is very suitable for conversion into pellets. Our pulverizer output renders the complete trunk into fibres with small enough size that it can be converted into pellets without having to be hammer milled. This represents a saving in the overall plant capital and operating cost. Oil palm trunks can be stored in stacks out in the open air without any roof covering for a significant period of time. This allows the collection and storage of trunks when available, because the trunks are quite resistant to degradation during extended storage. Our pulverized fibres are small enough to allow rapid drying in open air, which results in another big saving in drying costs.